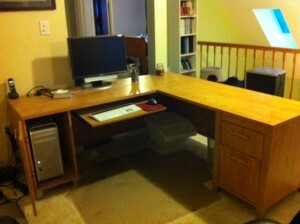 I sold my computer desk on craigslist this week. It had served me well for almost 8 years, but it was very large, and it had basically become a dumping ground for papers and whatnot, so I decided to sell it and get a smaller one. 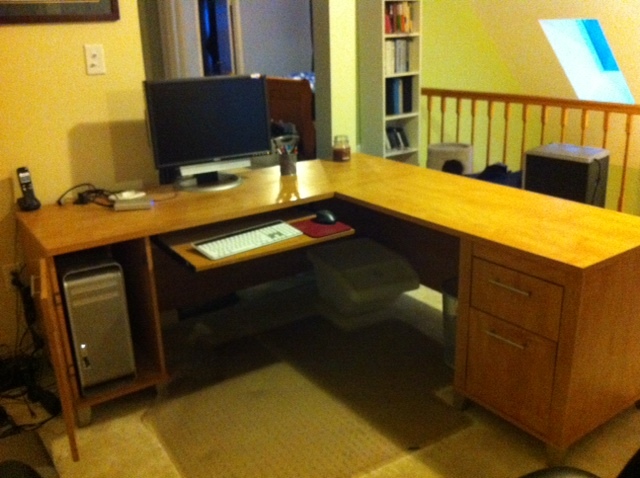 The old desk is 71″ square on the two sides, and the monitor in the picture is a 24″ monitor to give you an idea of its size. 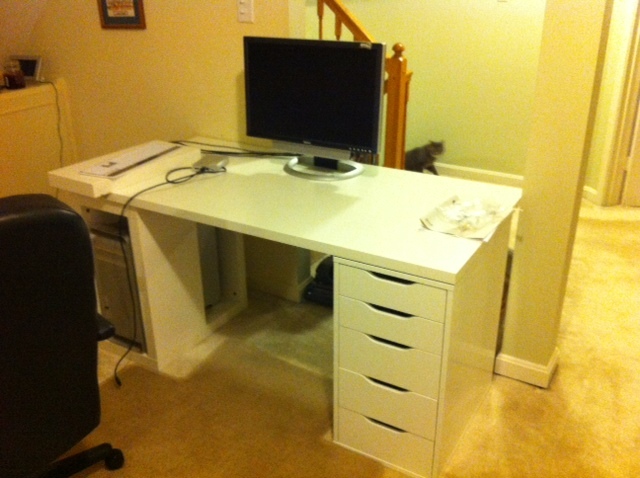 It was replaced by a smaller IKEA desk, and the sale price of the old desk almost covered the price of the new desk. I also have a rather large box of stuff to take to the thrift store, but it’s not out of the house yet. I’m also going to be going through our Christmas stuff as soon as Thanksgiving is over to get rid of anything we don’t use any more. The pictures are from two different angles, but the room clearly looks bigger with the smaller desk. It’s a small loft room anyway. And, I no longer have a surface to just dump things onto; I have to put everything away. This entry was posted in Home and tagged 365 less things on November 27, 2013 by Mom.